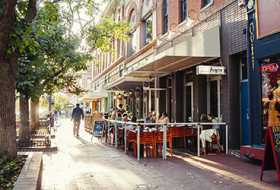 The brick-paved Pearl Street is Boulder&apos;s heart and soul — a central gathering place where locals and visitors alike come to stroll and shop among the historic storefronts, dine at buzzed-about restaurants, sip coffee, throw back a microbrew or simply people-watch. 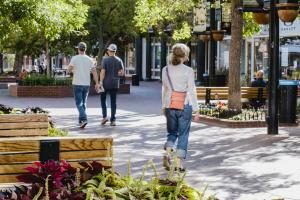 If you do only one thing in Boulder, walking this pedestrian mall should probably be it. 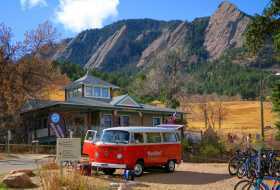 Boulder&apos;s beloved Flatirons — those slanting, massive slabs of sandstone that form Boulder&apos;s backdrop from just about any angle — tend to have a slightly mystical effect on visitors. We&apos;re willing to bet you&apos;ll be drawn to them, and the Open Space Mountain Parks area adjacent to the Chautauqua historic district affords the best way to get a closer look. 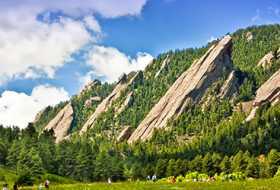 Gaze up at them from the hiking area&apos;s beautiful meadow, where dozens of trails lead off into the foothills, then hike right up into the Flatirons if you are seeking a bit more exercise and adventure. Get an up-close look at how the largest tea manufacturer in North America blends ingredients into some of the country&apos;s most beloved teas (Sleepytime tea, anyone?). See the production floor, catch of whiff of the famous mint room, taste any of the teas and view tea-box art in the gallery — all for free. Celestial Seasonings was named one of the country&apos;s best food factory tours by USA TODAY&apos;s Readers&apos; Choice. Unless you&apos;ve been to Tajikistan, you&apos;ve probably never seen a teahouse like this one. Handcrafted by artisans in Boulder&apos;s sister city of Dunshanbe, the structure was shipped piece-by-piece from the Tajikistan city and assembled in Boulder. It is an inviting and peaceful place to enjoy one of dozens of types of teas and a bite to eat while taking in the vibrant carvings and paintings that cover every inch of the interior. Miles of paved path meander right through the heart of Boulder and are easily accessible to all. Join locals who bike, jog, skate and walk Boulder Creek Path alongside the babbling creek beneath shady old-growth trees for some fresh air and beautiful Boulder views. 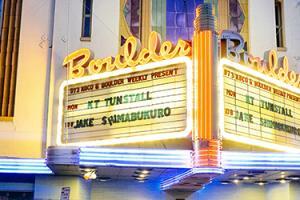 The historic Boulder Theater has been a stage for music and film since 1906, though in various incarnations. Today, the theater&apos;s art deco facade and neon marquis are almost as iconic to Boulder as the Flatirons. And from big-name musical acts like Shawn Colvin and Sheryl Crow to local faves such as Big Head Todd and the Monsters and The Samples, the Boulder Theater has put on some of the finest shows in Boulder&apos;s history. First of all, if you don&apos;t take Banjo Billy&apos;s Bus Tour, you&apos;ll constantly be wondering what you&apos;re missing by the third or fourth time you spot the recognizable school-bus-turned-hillbilly-shack rambling around town. More importantly, you&apos;re bound to learn a lot more about Boulder on this unique tour that covers ghost stories, legend and lore while you sit on a saddle, recliner or couch and listen to the entertaining tour guide share fun facts and silly stories. Named the No. 1 farmers&apos; market in the country by readers of USA Today, the Boulder Farmers&apos; Market is the perfect way to experience Boulder like a local. 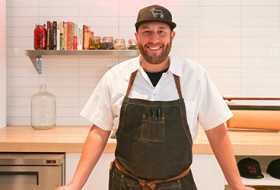 Established in 1986 by a handful of local farmers looking to sell farm-fresh produce directly to the public, the market is a growers-only outlet. Shoppers are guaranteed the best selection of locally grown, seasonal produce, eggs, cheeses, meats, herbs, flowers, wines and gourmet food products available in Boulder County. Open Wednesdays 4pm–8pm, May–October and Saturdays 8 am–2pm, April through November. Architecturally stunning and full of lovely gathering spaces, the CU campus is worth a stroll through just to admire the setting. But there are also a few attractions that are worthy of your can&apos;t-miss list, too: Old Main (the school&apos;s original building dating back to 1876), Mary Rippon Theatre (home stage for the Colorado Shakespeare Festival), Macky Auditorium and Fiske Planetarium being chiefly among them. Here&apos;s a guide for Things to Do at CU. 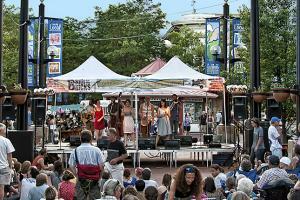 This list barely scratches the surface of all the things Boulder has to offer. Check out our Things to Do section or recent articles for more ideas, and be sure to sign up for our visitor e-newsletter to hear the latest and greatest.